Lecture: "Ireland and Argentina During the Dirty War, 1976-1983 – Diplomatic Perspectives on the Catholic Church, Human Rights, and State Terror"
The “Dirty War” refers to the infamous campaign waged from 1976 to 1983 by Argentina’s military dictatorship (led predominantly by Lieut. Gen. Jorge Rafaél Videla) against guerrilla organizations, human rights activists, members of all faiths identified with the poor, independent journalists, lawyers, teachers and workers. It is estimated that between 10,000 and 30,000 citizens were murdered; many of them were “disappeared”—seized by the authorities and never heard from again. Many senior clerics in the Catholic Church were close to Argentina’s military rulers at the time and human rights groups have accused them of complicity with the regime. There were also other senior clerics, male and female religious, catechists and lay people who opposed the military regime—as did members of other faiths—and many paid for that witness with their lives. 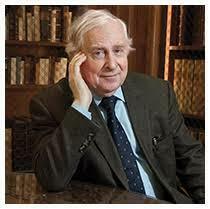 Dermot Keogh is Emeritus Professor of History, University College Cork. His books include: Jews in Twentieth Century Ireland, Refugees, Anti-Semitism and the Holocaust; Twentieth Century Ireland: Revolution and State Building; Ireland and the Vatican: The Politics and Diplomacy of Church-State Relations, 1922-1960; and the Making of the Irish Constitution, 1937 (with Andrew McCarthy). His most recent study, published in Spanish, is: “The Independence of Ireland – the Argentine Connection.” He is currently working on the theme of Ireland and Argentina between 1922 and 1983. Co-sponsors: Notre Dame’s Center for Civil and Human Rights and Kellogg Institute for International Studies.